The Chairman of the National Assembly Georgi Pirinski will pay an official visit to Greece on March 17 and 18, the parliamentary information service said Friday. The visit is at the invitation of the Speaker of the Hellenic Parliament Dimitris Sioufas. 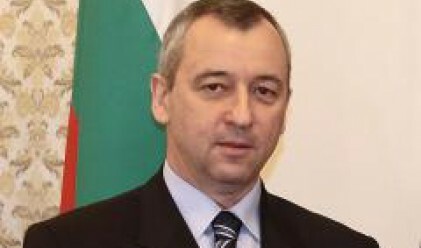 Pirinski will be accompanied by the Chairman of the Bulgaria-Greece Friendship Group Georgi Youroukov and MPs Georgi Bozhinov, Stanimir Ilchev and Asya Mihailova. In addition to conferring with Sioufas at the Hellenic Parliament, Pirinski is scheduled to meet with PASOK Chairman Georgios Papandreou, the parliamentary leader of the wider Coalition of the Radical Left Alekos Alavanos, representatives of the Greek Communist Party and the Popular Orthodox Rally (LAOS). The visit will also feature meetings with Greek President Karolos Papoulias, Prime Minister Konstandinos Karamanlis and Deputy Foreign Minister Yannis Valinakis, BTA reports. Pirinski is also scheduled to meet with Ieronymos II, Archbishop of Athens and All Greece and Primate of the Autocephalous Orthodox Church of Greece.